Welcome to La Vina! Set along the base of Angeles National Forrest; come and feel the serenity of living in the mountains, while still being close to city life. 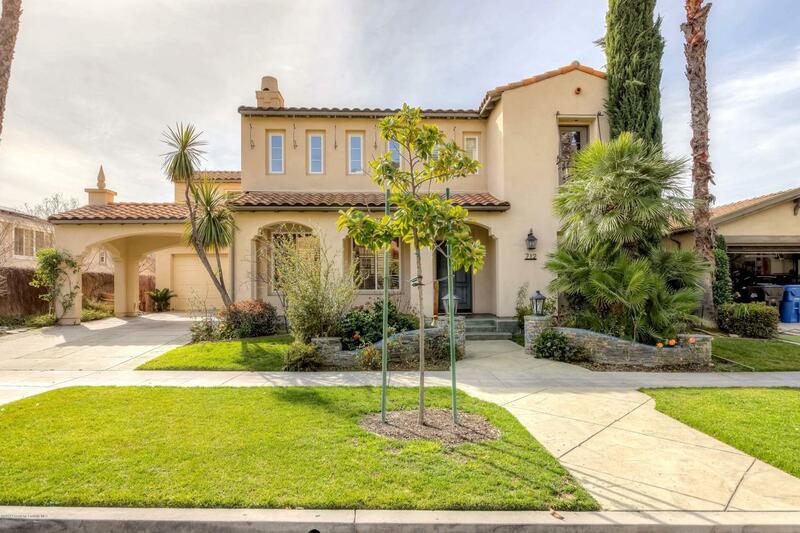 This charming Spanish style house awaits for you to call it home. As you enter the foyer, you will be greeted by a formal living room with a fireplace. There is a private in suite bedroom downstairs; for your guest, teen age child, in laws, your parents...As you move further into the house it opens up to the family room and gourmet kitchen, can you imagine all those fun filled meals you'll be cooking up for family and friends. The upstairs has been strategically laid out. There is a theater room and 4 bedrooms. The master bedroom has been set apart from the rest of the rooms. Sometimes, you just need to get away; so light up the fireplace and enjoy your me time. Oh, yes each room has its own unique view! The grounds itself is open and inviting. Sit in the quart yard light up the fire and enjoy a glass of wine or sit in the back yard and enjoy the sunset. There is so much this home offers, the only thing missing is you. So come make this house your home. Welcome to La Vina!